Looking for red diesel in the East Anglia? Crown Oil is red diesel suppliers for York, and Yorkshire and the Humber. We also deliver any type of fuel and lubricant on a nationwide basis, including derv, kerosene and heating oil. 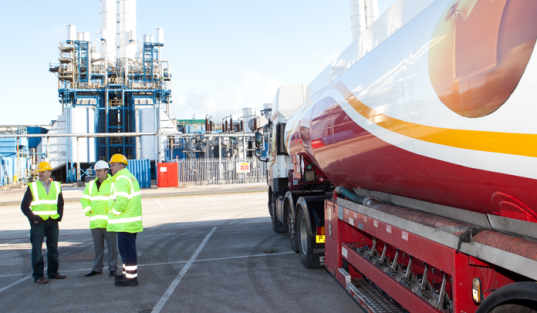 As one of the leading fuel suppliers in the UK and with over 65 years of experience, we understand our customers and how important on-time fuel deliveries can be. We promise to deliver your fuel at a date and time chosen by you. Our friendly sales team is always here to answer any questions you may have. To order cheap red diesel or for more information about our oils, fuels and lubricants, call Crown Oil today on 0845 313 0845. Yorkshire and the Yorkshire Dales have been one the most treasured pieces of the English countryside for decades. Millions of tourists and campers descend on the area to partake in country walks, outward bound activities, and many other horticultural and agricultural experiences. Horse riding is a fantastic way to explore the beautiful surrounding countryside of the Yorkshire Dales. For the younger daredevils there is an abundance of extreme sporting activities such as quad bike riding, hang gliding and parachuting. Yorkshire is prone to freezing temperatures and very deep snow drifts in the winter with cool wet summers resulting in a need for a cheap heating fuel source and a robust fuel solution for agriculture and construction. Red diesel is a perfect solution for all residential and commercial heating problems. Gas and electric suppliers are constantly increasing red diesel prices causing residents to receive massive bills or the elderly, on low incomes, refuse to turn the heating on to save money. Red diesel is a cheap alternative to other forms of heating a home or building. This is due to the lower fuel tax duty compared to that of regular “white” diesel which incurs a much higher rate of tax. If you have the right storage facilities, you can benefit from a fantastic annual saving on your heating costs. At Crown Oil, we offer fantastic delivery schedules to suit all customers. Deliveries can be arranged within 24 hours to ensure a continual low-cost fuel to heat your home. Commercial premises can benefit from lower tax and lower bills as well as saving a huge sum on the annual heating costs of offices, shops, and factories. We can easily arrange installation of the equipment necessary for the home or business to begin benefiting from the cheap heating solution of red diesel. The industrial, commercial and agricultural sectors use gas oil daily. Having a reliable and cheap red diesel supplier can save you time and money as well as keep your business going. Our friendly sales team is always here to answer any questions you may have, so if you require any further information about our oils, fuels and lubricants, call us today on 0845 313 0845. For your fuel, oil and lubricant requirements in Yorkshire and the Humber, contact the Crown Oil team on 0845 313 0845 today or fill in the form on this page for a quote with our latest fuel prices.